Creative concrete. More special than stone. Interior and exterior design? Done. Residential and commercial work? Yes. 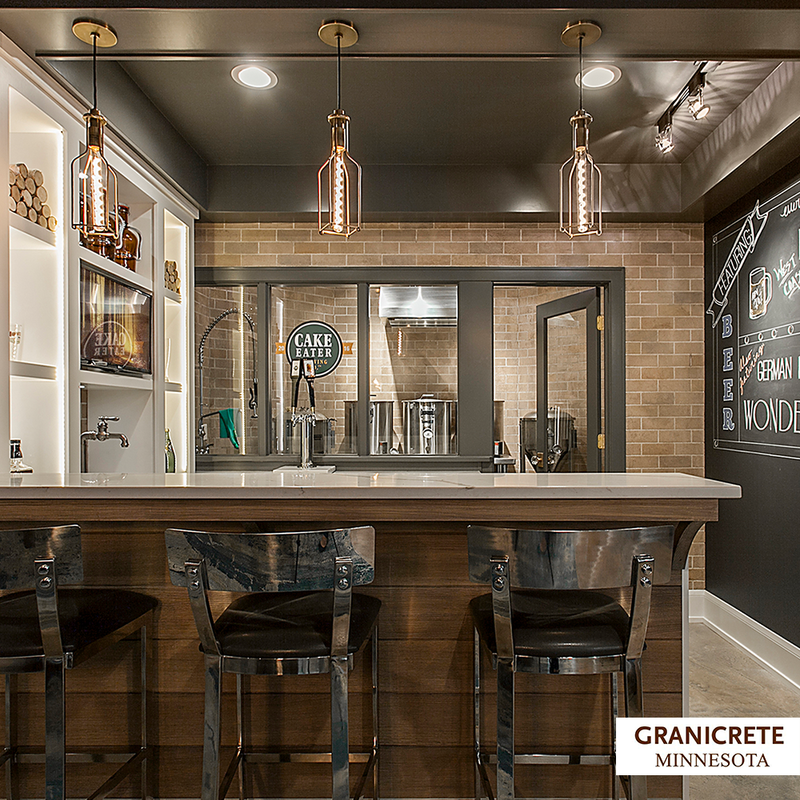 Award-winning, NSF-certified Granicrete does it all. 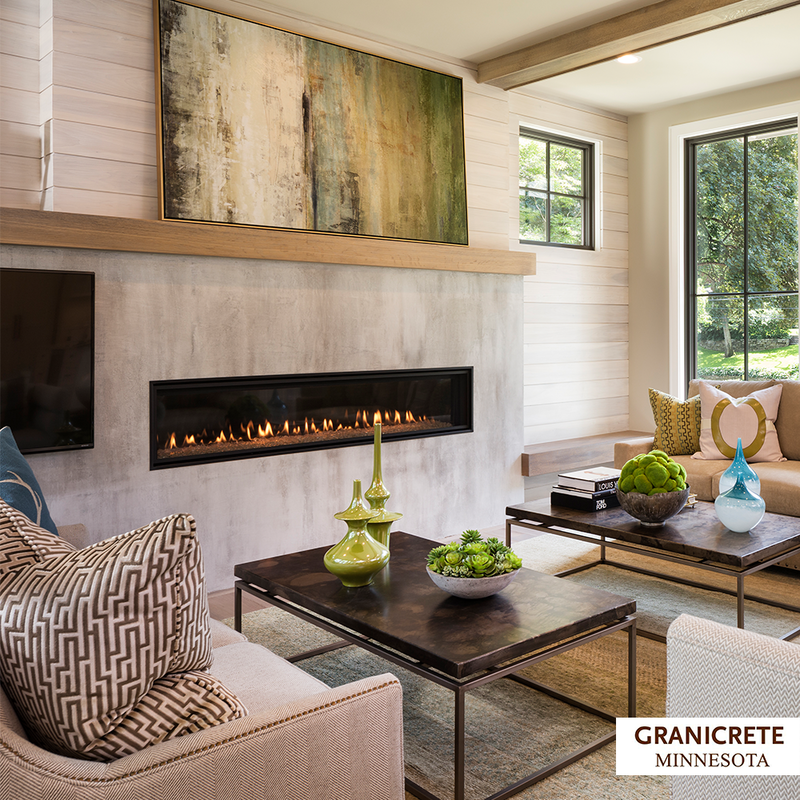 Save time, money, and demolition costs by updating with Granicrete instead of traditional stone. The look you want. At the price you want. 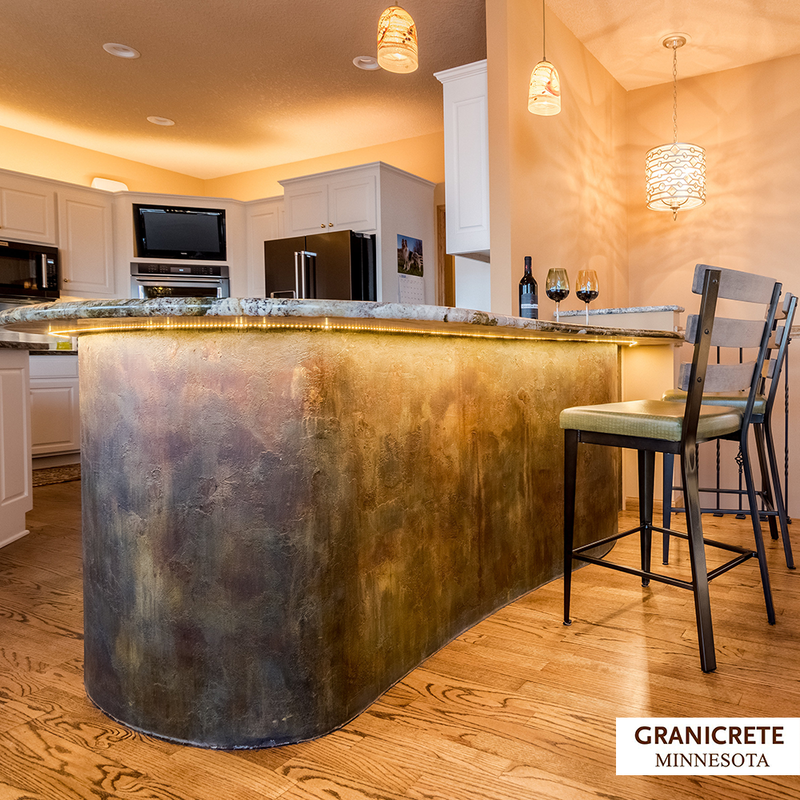 From stone to brick, wood to tile, and much more, our innovative concrete is here to give you the look you've always dreamed of. Custom, hand-crafted designs. Made by artisans, just for you. Whatever your need, our artisan crafters are here for you. Countertops, flooring, shower tile, a new patio, fireplaces, driveways, and more - we've got you covered. 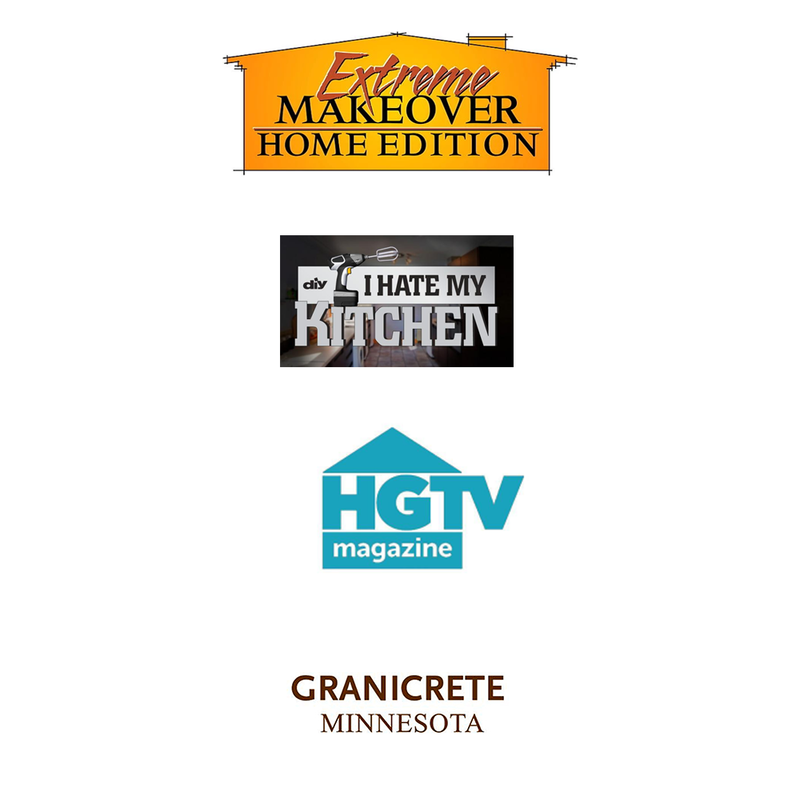 Granicrete Minnesota has had the great joy and honor of participating in "Extreme Makeover: Home Edition" and three episodes of "I Hate My Kitchen." We've also been featured in HGTV Magazine! To see our accolades, click here.